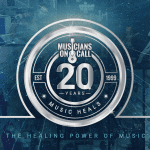 Musicians On Call Raises Over $150K At The Rock The Room Tour In Washington, D.C. Musicians On Call (MOC), a groundbreaking nonprofit organization that brings live and recorded music to the bedsides of patients in healthcare facilities across the country, held its third Rock The Room Tour event Tuesday night in Washington, D.C. The Rock The Room Tour, presented by Comcast NBCUniversal and Pandora, held its inaugural Washington, D.C. event to honor local volunteers and champions with support from sponsors AARP, Aflac, Amgen, Beer Institute, iHeartMedia, Sound Exchange and Southern Company. 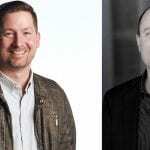 The event was hosted by Comcast NBCUniversal. 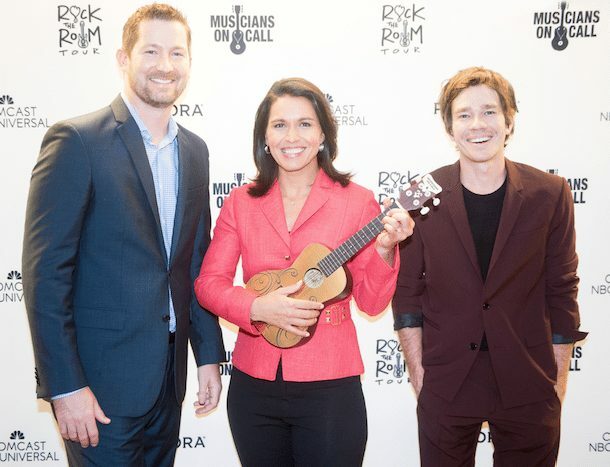 In recognition for their work with Veterans, Musicians On Call presented its “Golden Ukelele” Service to Heroes Award to Representatives Jeff Miller (R-Fla.) and Tulsi Gabbard (D-Hawaii). Both honorees reflected on the impact music has on the healing process for Veterans, Representative Jeff Miller drawing on his leadership on the House Committee on Veterans Affairs, and Representative Tulsi Gabbard as a combat Veteran who served in Iraq. In addition, Musicians On Call honored Volunteer Guide, Ellen Morris, and Volunteer Musician, Ken Wenzel, for their outstanding service as volunteers at Musicians On Call’s Bedside Performance Program, which supports Veterans facilities in Washington, D.C. and throughout the country. To date, Musicians On Call has brought live music to 29,000 Veterans in Washington, D.C., Baltimore, Philadelphia, Nashville, New York, and Atlanta. Grammy Award winning and RIAA multi-Platinum certified artist, Nate Ruess, joined the event to lend his support for the healing power of music before headlining the RIAA Holiday Party, the 5th annual benefit for Musicians On Call. Hon. Brad Ashford, Hon. Tammy Baldwin, Hon. Joe Barton, Hon. Karen Bass, Hon. Marsha Blackburn, Hon. John Boozman, Hon. Corrine Brown, Hon. Ken Buck, Hon. Michael C. Burgess, M.D., Hon. G.K. Butterfield, Hon. Tony Cardenas, Hon. Benjamin Cardin, Hon. Robert P. Casey, Jr, Hon. Judy Chu, Hon. David Cicilline, Hon. Steve Cohen, Hon. John Conyers, Hon. Jim Cooper, Hon. Bob Corker, Hon. Joseph Crowley, Hon. Danny K. Davis, Hon. Suzan DelBene, Hon. Charlie Dent, Hon. Ted Deutch, Hon. Anna G. Eshoo, Hon. Kirsten Gillibrand, Hon. Louie Gohmert, Hon. Robert Goodlatte, Hon. Gene Green, Hon. Gregg Harper, Hon. Vicky Hartzler, Hon. Joe Heck, Hon. George Holding, Hon. Hakeem Jeffries, Hon. Hank Johnson, Hon. Walter B. Jones, Hon. James Langevin, Hon. Sheila Jackson Lee, Hon. Dave Loebsack, Hon. Billy Long, Hon. Joe Manchin, Hon. Kenny Marchant, Hon. Tom Marino, Hon. Doris Matsui, Hon. Betty McCollum, Hon. Jim McDermott, Hon. Patrick Meehan, Hon. Barbara Mikulski, Hon. Jeff Miller, Hon. Mick Mulvaney, Hon. Jerrold Nadler, Hon. Steven Pearce, Hon. Joseph Pitts, Hon. David Rouzer, Hon. Adam Schiff, Hon. John Shimkus, Hon. Dan Sullivan, Hon. Mark Takai, Hon. Mark Takano, Hon. Jon Tester, Hon. Thom Tillis, Hon. Dina Titus, Hon. Fred Upton, Hon. Mimi Walters, Hon. Roger F. Wicker, Hon. Rob Wittman, Hon. Steve Womack. The Rock The Room Tour has raised over $387,000 for Musicians On Call over the course of three events and will conclude next year in New York City. The Rock The Room Tour was created to raise awareness of the impact music has on healing, honor leaders in entertainment and philanthropy and raise funds for Musicians On Call in order to continue making a difference in the lives of patients through its unique “bedside tours” in hospitals. 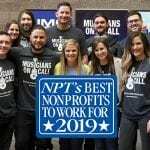 The tour celebrates Musicians On Call’s impact in four major markets including Nashville, New York, Los Angeles, and Washington DC with special events honoring those who have showed tremendous support for the nonprofit organization. The artist performing and honorees who will be celebrated in New York next year will be announced soon.